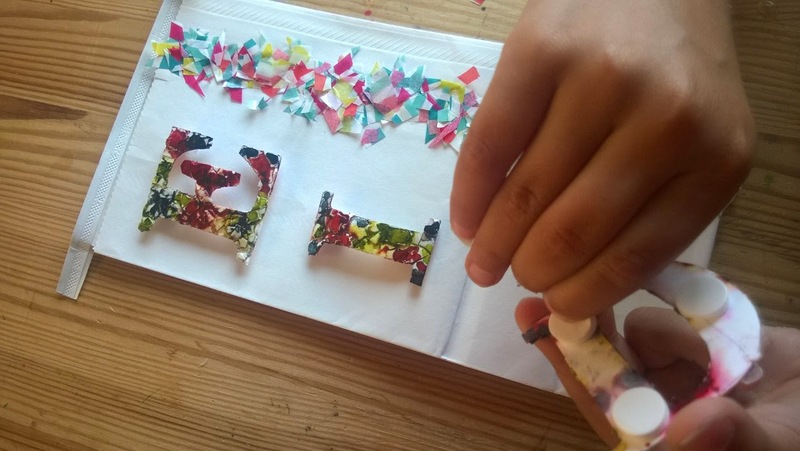 We are so excited to show you our craft today because we finally figured out what to do with the Eid in an Eggshell letters! I know you have been thinking about them too. Worrying that we spent all that time making them and now they’ll sit on a shelf. Well worry no more, we turned them into this very cute Eid favor bag. However, when we thought about them on the bag, we realized they would be lonely. 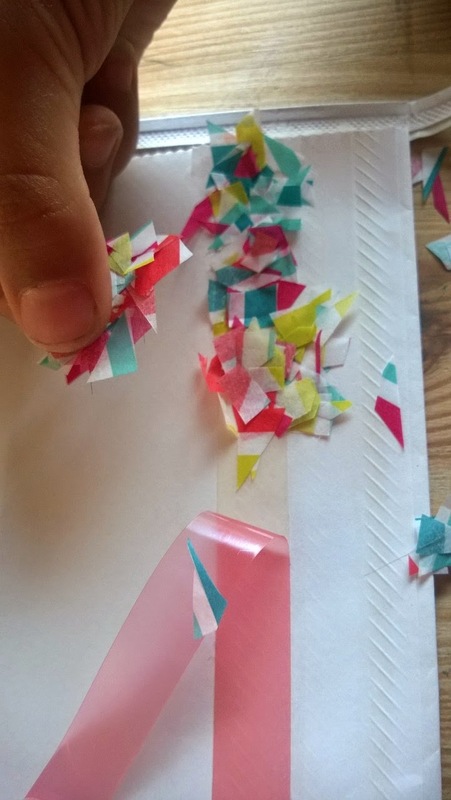 We created this confetti tape on the side to a bit more dimensions. Now we’d like to show you how to make it yourself. 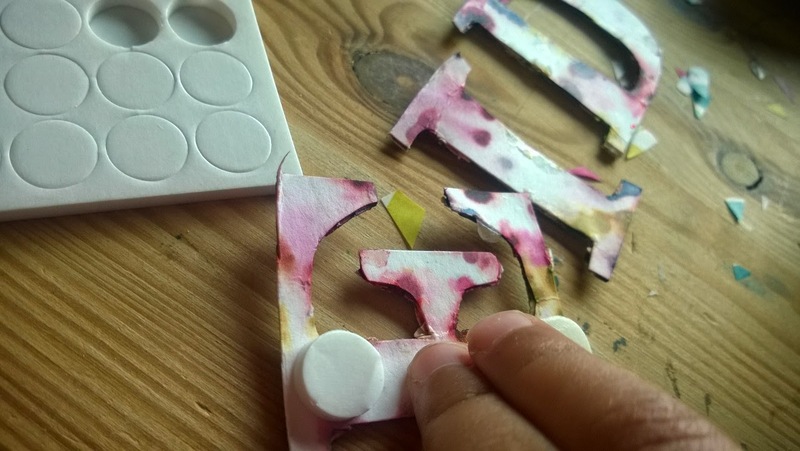 Cut up the tissue into small random shapes. 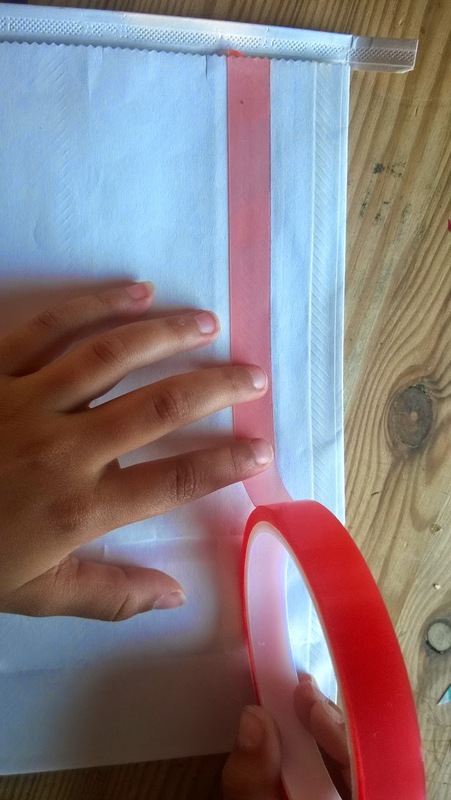 Place your double sided tape on one side of your bag. 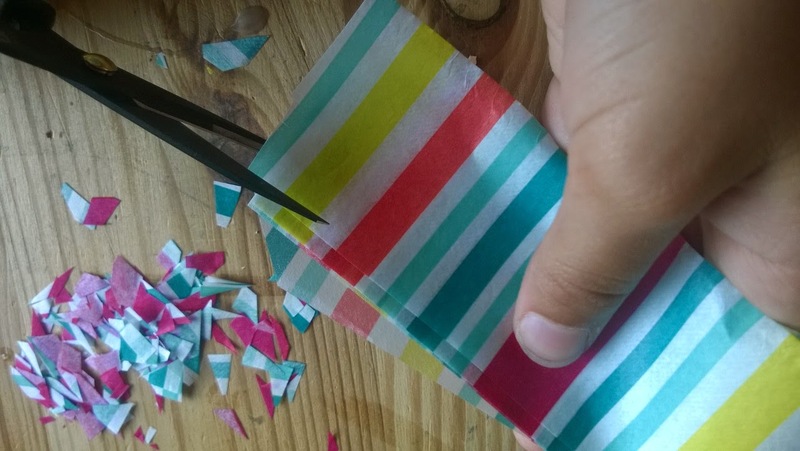 Working with only a little bit at a time, peel back the backing on the tape and add the confetti. Cut out the Eid letters from the bottom. 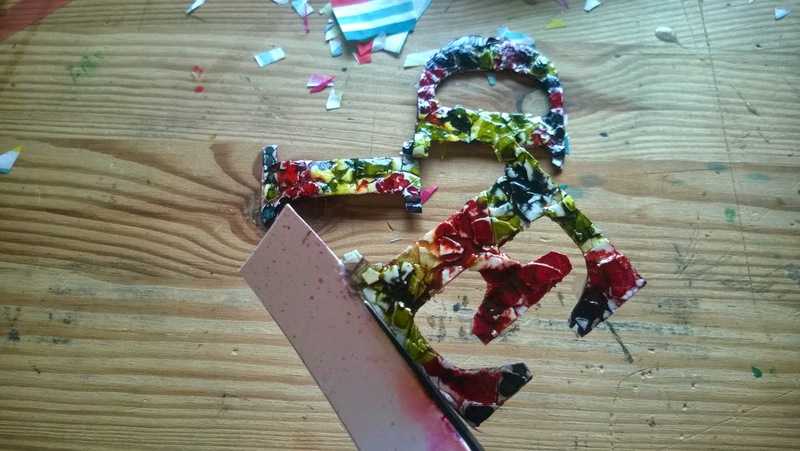 Add the foam stickers to the back of each letter. Add the letters to the bag. Fill it with goodies and leave it on your neighbors porch! 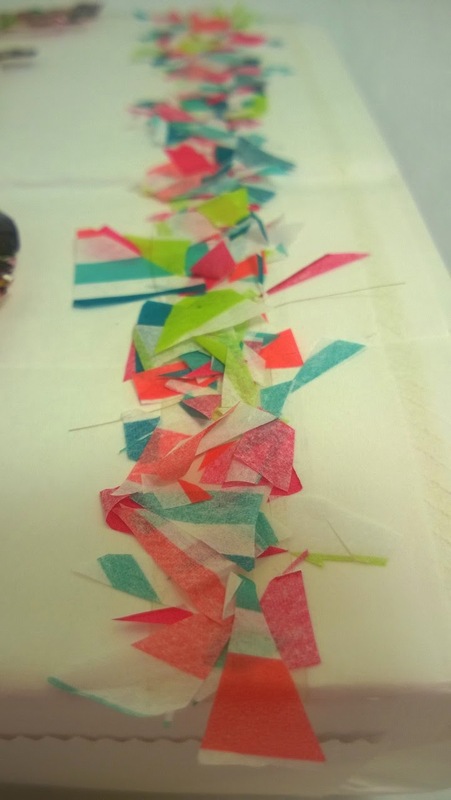 Here is a close up of the confetti tape. 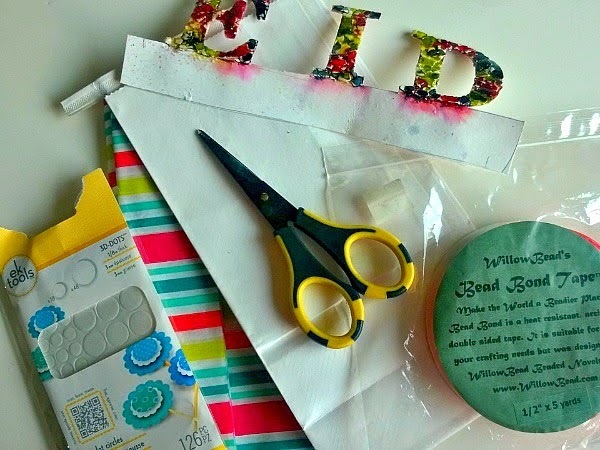 To create more fun crafts about Eid, visit A Crafty Arab on Pinterest.